This property can be available as soon as June 1st. 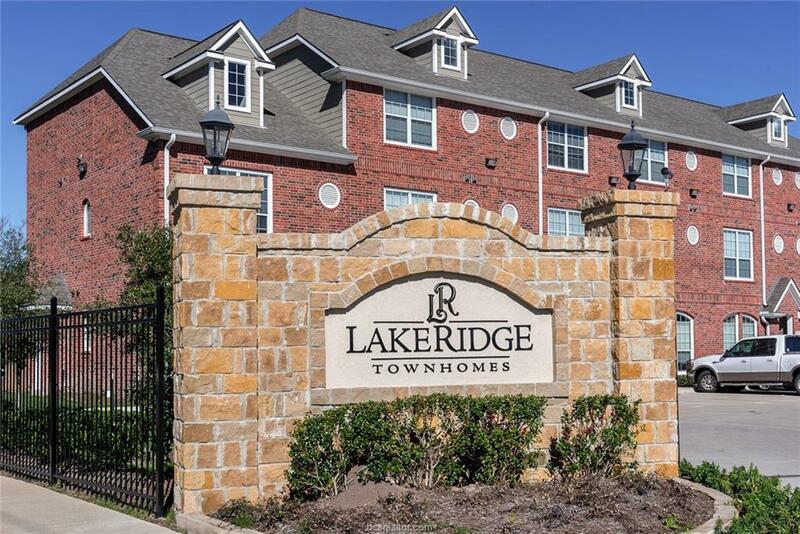 This three bedroom/three bathroom condo in popular Lakeridge Townhome Condos offers outstanding community amenities and is only minutes from the new HEB shopping center. 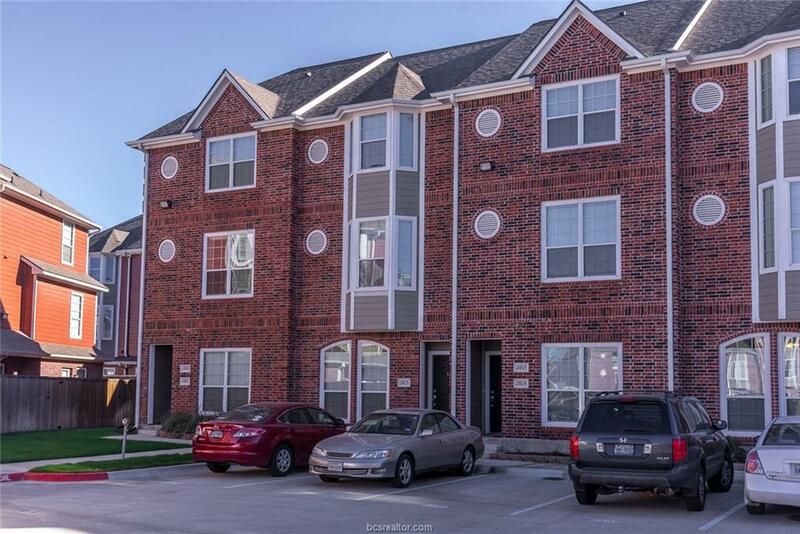 This condo is within biking distance to Texas A&M and is conveniently located on the Texas A&M bus stop! Each of the three spacious bedrooms have a private bathroom and large walk in closet. Granite counter tops, eating bar, microwave, refrigerator, electric range and dishwasher in kitchen. 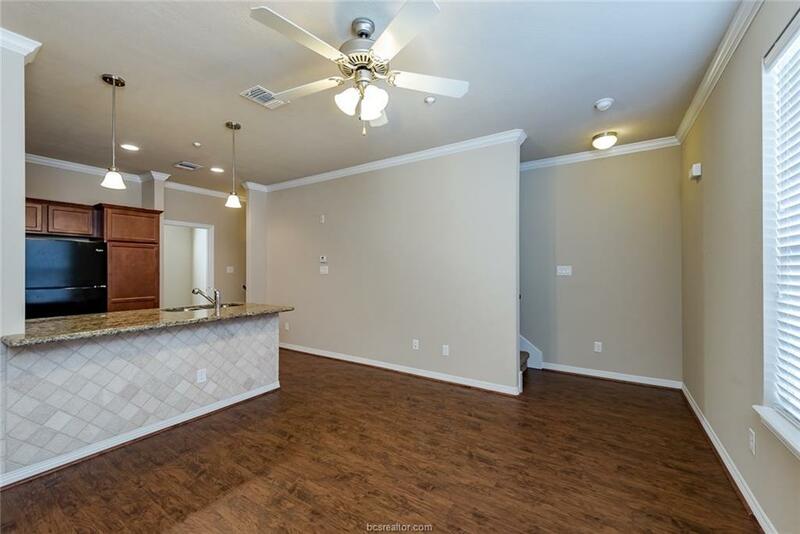 Wood vinyl plank floors in the living room and tile in wet areas. Washer/dryer and refrigerator included. The condo has three designated parking spots for ease of parking. 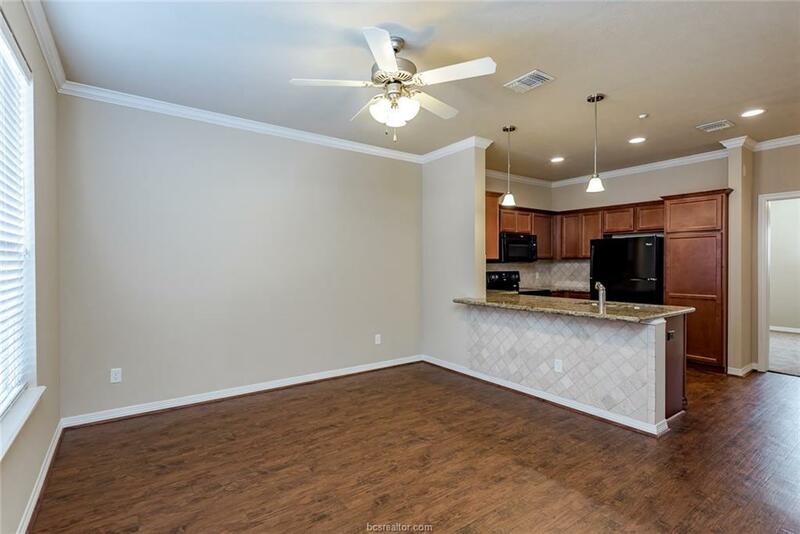 Loaded with many amenities including swimming pool, hot tub, basketball court, gym/fitness center, movie theater, kitchen, study/ game room etc. HOA dues include water, sewer and basic cable/internet.